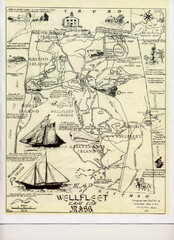 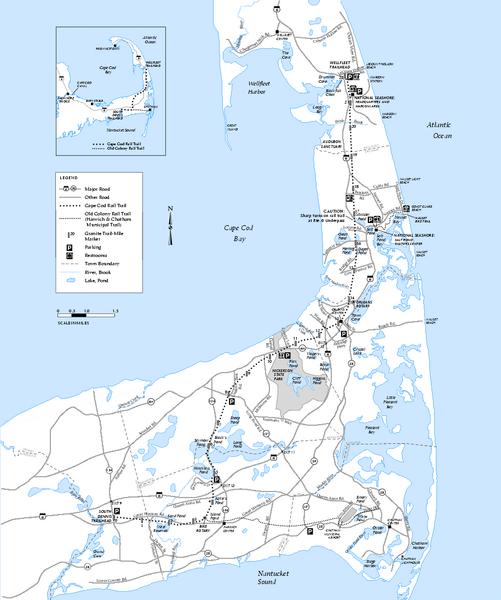 Cape Cod Rail Trail map. 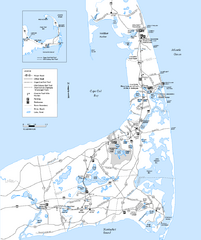 The Cape Cod Rail Trail follows a former railroad right-of-way for 22 miles through the towns of Dennis, Harwich, Brewster, Orleans, Eastham and Wellfleet. 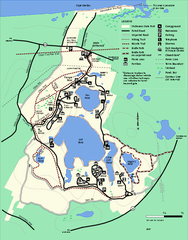 Its paved surface, few hills, and well-marked automobile crossings make it ideal for cyclists.